Throughout the course of a woman’s life, she undergoes several changes in which her hormonal levels fluctuate dramatically. During these times, the body, and the mouth, is affected in a variety of ways. At my Madison dental office, we’d like let all of our patients know the oral health complications that can occur during phases of a woman’s life. 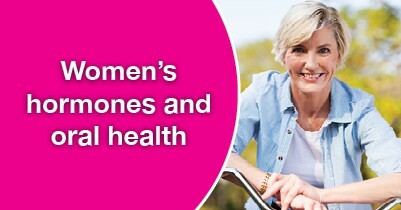 There are five major occasions when female hormones fluctuate and can cause oral health concerns like gum disease and other serious problems. This makes visits to your Madison dentist and a proper at-home hygiene routine even more important for women than men, especially during these key moments in a woman’s life. Throughout a woman’s life, and especially during these important stages, it’s important to keep regularly scheduled appointments at my dental office in Madison. If you’re overdue for your hygiene appointment or exam, or if you’re at one of those peak stages of your life, we’ll make sure your mouth is healthy and work with you to keep it that way. Welcoming patients in Madison, Middleton, and Verona.